I know it's ironic that my most exciting update for this past week is that I read books, but the struggle has been real! I finally managed to read Garden of Fiends. Thank goodness my mojo is back; it was worth the wait! 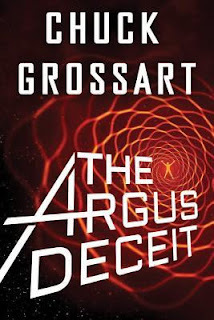 I also read The Argus Deceit which was really unique. I enjoyed it. 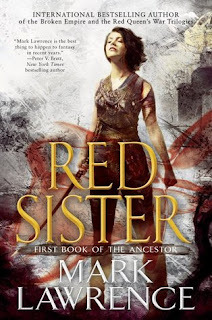 Red Sister will be my first Mark Lawrence book. All of the tropes are calling out to me in this one. I finished season 2 of Hap and Leonard. (So happy to hear there will be a season 3.) I'm once again in the mood for a Hap and Leonard binge read. As much as I'm loving the TV show, they haven't figured out how to capture East Texas yet. You can only get that straight from Joe Lansdale. I hear you! Compared to last year, this reading year has been awesome - even with the recent slump. Enjoy your books! I never heard of Hap and Leonard, but it looks good. Have a great week! I love Hap and Leonard. It's a book series by Joe Lansdale that is being adapted for TV. Glad your mojo is back too. I've got a copy of Red Sister so I'm curious to hear your thoughts. I keep meaning to read a Hap and Leonard book and I'll admit, the Netflix episodes are seriously calling to me. Awesome. Thanks for the tip. I am so glad you are reading again! I always feel a bit off when I am not reading, but sometimes I just can't get into anything. :-( I am not familiar with Hap and Leonard. I will have to see if I can give that one a try! Haha. You can never have too many books, right? Yay for reading books!! I have definitely had a few distractions from my reading lately. Enjoy your book and have a great week! Garden of Fiends looks trippy, and I had to click over to GR to check out The Argus Deceit. That sounds good too! I guess there is one perk to it taking so long for me to finish watching a series. I don't have such a hard time finding the next one. I started watching Hap and Leonard this week. Too fun and I'll be binging the series now. And loving the cover for Garden Of Fiends. I enjoyed Red Sister and hope you do it. Have a wonderful week! Yay, glad you have your reading mojo back! And I hope you're enjoying Red Sister - it's a huge departure from his other series/novels, so not surprisingly it's been quite polarizing among his fans. I'm curious to hear what you'll think as newcomer to his work! 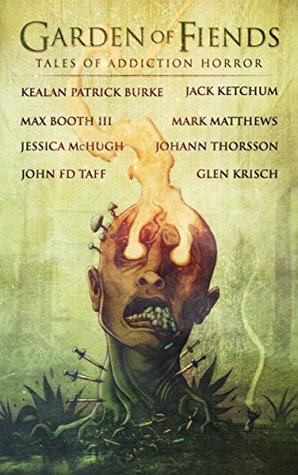 Addiction horror is such and interesting topic for an anthology, glad it was worth it.